ATHENS- Amphipolis. 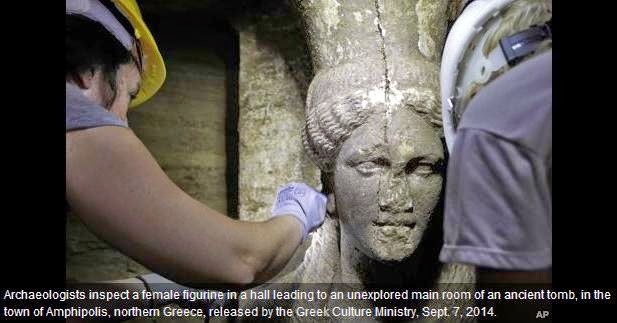 -Archeologists have unearthed two sculpted female figures, known as Caryatids, as they slowly make their way into an ancient tomb recently discovered in Greece's northeast, the country's culture ministry said on Sunday. They mark a significant new finding in the tomb on the Amphipolis site, about 100 km (65 miles) from Greece's second-biggest city Thessaloniki, which archeologists have hailed as a major discovery from the era of Alexander the Great. • pequeno número de textos nunca contam histórias ficcionais. site thus i came to “return the favor”.I am trying to find things to enhance my site!I suppose its ok to use some of your ideas! !